Self-discipline is a very important factor in the business world in general and in the business entrepreneurship world in particular. 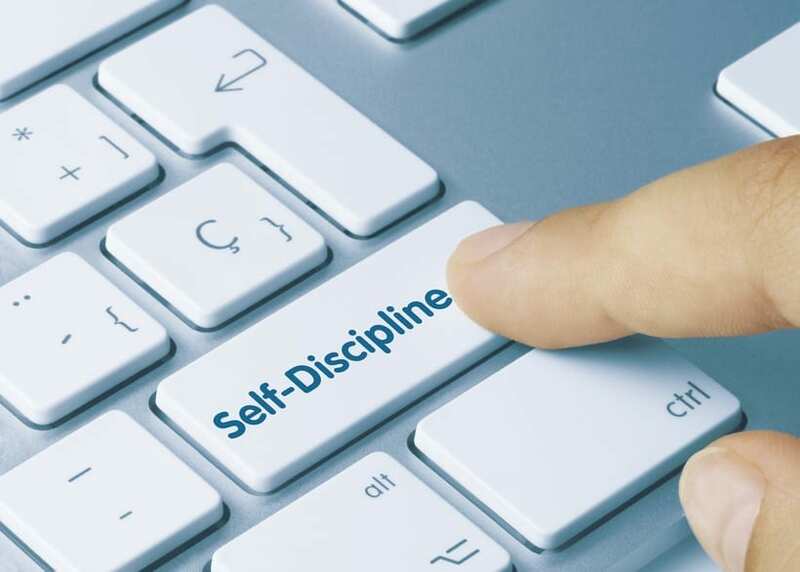 In fact, self-discipline is a healthy basis not only for the business world but also for good citizenship, proper parenting and conflict-free neighbouring. It is much easier to leave your garbage near the building dumpsters than inside them. It is much easier to ignore the filth in the building’s lobby than to pick it up and throw it away. It is much easier to ignore a warning sign on the road and to keep driving however we feel like than to consider other drivers. Postponement of gratification: there are many things that are easier and more pleasant than submitting reports or filling in forms. However, postponement of gratification is considered a central element in the civilized world, as well as in the business world and other worlds. It is worth mentioning that instant gratification is very tantalizing for most people and, naturally, also easier and more pleasant to perform than their main goals, those that actually move them ahead. Performing actions that do not receive instant encouragement: every person performs important actions (personal, social, civil, business and so forth) every day, many of which they do not receive instant encouragement for. A driver does not get an award every time they halt at a stop light or to let a pedestrian cross the street. Still, they keep doing this just out of self-discipline. Correct action even in the absence of immediate punishment: following the above paragraph where I discussed actions which do not receive instant encouragement, I would also like to discuss the question of correct action in the absence of immediate punishment. One example for this is the incapability of the authorities to immediately punish tax evasion. With no immediate punishment, the temptation to evade paying taxes is great. In these situations specifically, self-discipline is critical to the success of any person, and more so for long term success. Focusing on the important things and leaving the insignificant behind: it is very easy to take care of trivial, useless, things that do not promote any activity or purpose. It is very easy to be trapped into nonsense and gossip that have no bearing on the business goal and to waste time in discussing or dealing with them. The ability to focus on what is important, on tasks and goals, is critical to success. Correct management of long term processes: most processes divide into two: those which require a reaction in the short and immediate term and those that require a long series of activities and in nature are built for long-term work. Self-discipline means knowing how to correctly balance long-term tasks (those that do not yield immediate results or which may require investment of many work hours) and short-term tasks, especially short term tasks that yield immediate success. Doing the right things even without supervision: as I have mentioned earlier in the book (and will continue to), without self-discipline the entrepreneur’s ability to act will be very low, although this situation may change dramatically if they have an active management or board of directors to whom they must report. As opposed to that, people who have high self-discipline can act without supervision and without oversight of any kind and still do their jobs very well. Technology Innovation is the basis of competitive advantage, and Bar-Ilan University is a natural breeding ground for innovation. BIRAD’s vision is to manage Bar-Ilan University’s intellectual property assets for the public good. We believe that innovation has the potential to transform industries, maximize the impact of new knowledge resulting from University research and discovery and to create tremendous economic and social value. BIRAD aims to achieve strong patent protection for Bar-Ilan inventions and to maximize their commercial potential, thus generating an additional revenue stream for Bar-Ilan investors whilst supporting technological innovation.